The scarcity of jobs in other service sectors and boom in health care sectors has led to increased employment opportunity in the nursing care medical field. Many health care facilities all over United States are already facing the acute shortage of CNAs and other nurses to work in different types of health care settings, which have also started rush for the CNA jobs for entry level health care profession to meet the rising nursing personnel demands. Very short period of nursing training required for health care field entry level jobs, as any individual can complete 4-6 weeks CNA training program and earn certification to get legal permission to work in various types of health care settings. Even high school diploma or GED can make you eligible for admission into CNA Programs. You can start working even during the school graduation and minimum age for enrollment is just 16-18 years as per specific state requirement. Can attend campus based classes, day and evening classes as per students convenience and online classes, which offer flexible class attendance option. If you are facing financial restraints, you can opt for Free CNA programs by applying for private individual and corporate, state and federal financial aids, grants, scholarships and loans. There are other reasons also that have lured the job seekers in this field, as an individual have the option to work full time, part time and weekend as per his/her convenience. 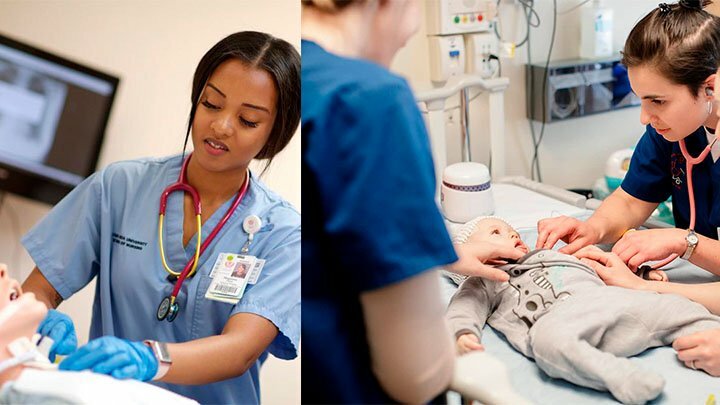 CNA jobs are termed entry level nursing employment and with the few years experience gained in nursing care field and through continue education, you can opt for higher qualification for becoming LVN, LPN and RN for further career growth. Further, salary offered to CNAs is enough to sustain and meet you daily needs comfortably. In United States of America, any individual aiming to work in health care field must complete state and OBRA-87 approved CNA training, consisting of classroom course instruction and clinical hands-on experience of respective state. The completion of the program makes the candidate eligible to sit for the CNA Certification test and passing of the test earns them CNA Certification, which also allows legal working permission in various types of health care settings in that state. The earning of CNA Certification allows a student to get employment in various types of health care facilities including, Hospitals, Nursing Homes, Long Term Care units, Rehabilitation Centers, Hospice Centers, Restorative Care Centers, Adult Care Centers, Physicians Office and others. Individuals can also work as home health Aides, School Nurse by gaining school nurse certificate, Military Nurse Aide, Private Duty CNA and Travel CNA. As a CNA, you are required to perform numerous types of duties as required by your employed facility under the supervision of Physician or Registered Nurse. You will also become an important member of health care team and report to RNs about the everyday condition of the patient. Personal care skills – where you are required to offer washing, bathing grooming, hygiene, cleaning of the rooms, answering call lights, change of bed linen, assist patient in walking, and supervise exercises and others. You must also see that the patient rests well, comfortable and sleep well. Your duties mainly concentrate to Activities of Daily Living of the patient. You must offer Restorative Care to patients, who remain and sit idle whole day. You must devise ways to keep patient alert and active to avoid different types of physical ailments that results due to constant sitting idle in one place. Mental Health Cares are needed for patients, who are suffering from mental disorders and problems, such as Anxiety Disorders, Depression, Suicidal tendencies, Social Phobia and others. In addition, you are also required to offer mental and emotion support to patients and their family members, meet patients spiritual and cultural needs, counsel patients for treatment and operation procedures, offer Basic Nursing Cares, where you will have to count, measure and record vital signs, measure and records weight and heights, fluid intake and output and execute numerous other job duties and responsibilities. Further, you must also remember that not all facilities and position have same job duties. For example, if you work in intensive care unit of a hospital, your job duties will be different than working in lower CNA positions. Similarly, a Hospital CNA duty varies with Home Health Aide responsibilities. As a Certified Nurse assistant, you can easily earn $20,000 to $45,000 annually or $12 to $17 per hour depending on the working facility, type and size of the health care center, location of the employment in rural, urban or metropolitan cities based facility, practical working experience, educational background and certification, and position you are employed. You must also remember that CNA Jobs have bright future, as U.S. Bureau of Labor Statistics has estimated that employment growth of CNAs will see a rise of 21% by 2014 and growth of 17% by 2018. It is also necessary to understand that as a Certified Nurse Assistant, you must bear compassionate nature, humble behavior and must offer quality and competent cares to patients of all ages by respecting their emotional and cultural needs.